Apple Pie was my first pie that I made as a new bride. 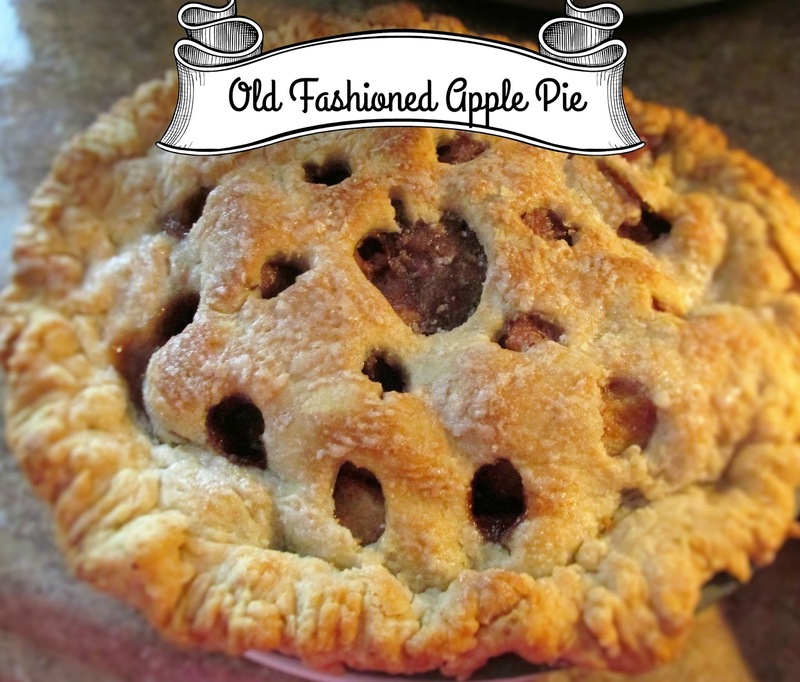 I decided to make just a classic old fashioned pie like grandma used to make for my apple loving husband. The first ones were quite ugly but he didn't seem to care how they looked. He always said they were delicious. He knew how to encourage! This pie has no special ingredients so I always have everything I need I hand. It's so easy that you'll never want to buy apple pie filling again! I think just smelling this pie as it's baking puts everyone in a fall coma! Peel, core, and cut into slices 6 to 7 medium sized apples and place in a large bowl. In a separate medium sized bowl, stir sugar, cinnamon, and flour together. 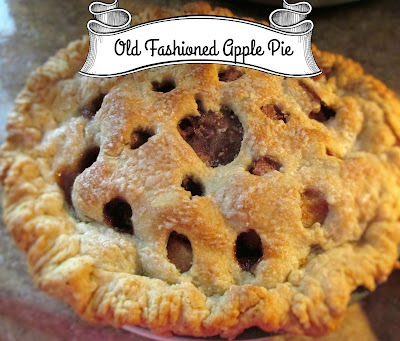 Mix together with apples and pour into the bottom pie pastry. Cut butter into small slices and place them around the apples. Put on the top crust (decorate if you want to). Bake at 400 degrees for 25 minutes. Mix the sugar glaze ingredients together then brush the sugar mixture on top of the apple pie. Put back in the oven and bake for another 20 to 25 minutes or until nicely browned on top. I use this Apple Pie Top Cutter to make it look a little like I'm a skilled pastry chef. As you can see it caved in a little on the side, so I'm definitely not. I also put the pie on top of a baking sheet to catch any drips. Yes, that filling dripped right out of that hole on the side. Saves a lot of messes in the oven.